Our Bestseller — more than 10,000 copies sold! 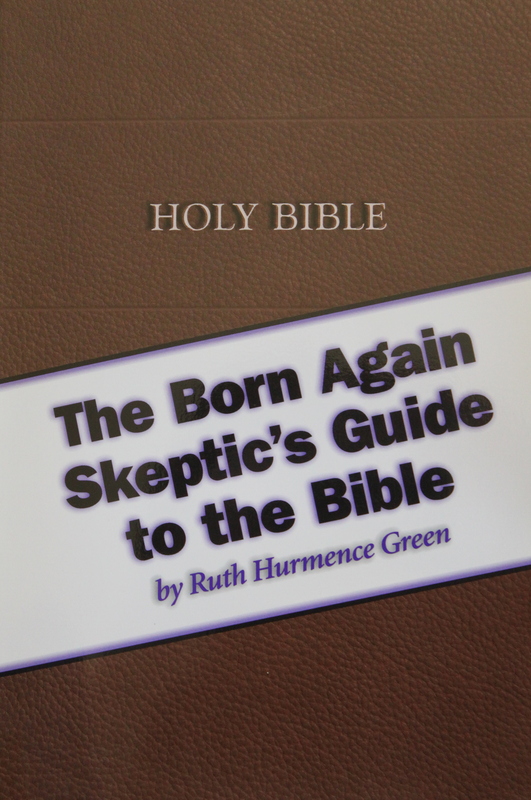 Ex-Methodist Missouri grandmother critiques the "Good Book" with wit and insight. Invaluable to freethinkers engaging in debate with religionists over the merits of bible contents. Neatly arranged into 12 chapters, such as "Mass Killings Ordered, Committed, or Approved by God," "Treatment of Women in the Sweetest Story Ever Told," "Discrepancies and Contradictions," and "Preposterous Passages from the Pages of the Holy Book." First published in 1979, this 20th-anniversary reprint includes "The Book Of Ruth," the posthumous collection of Ruth's other writings on religion. Published by the Freedom From Religion Foundation. Paperback, 440 pages.